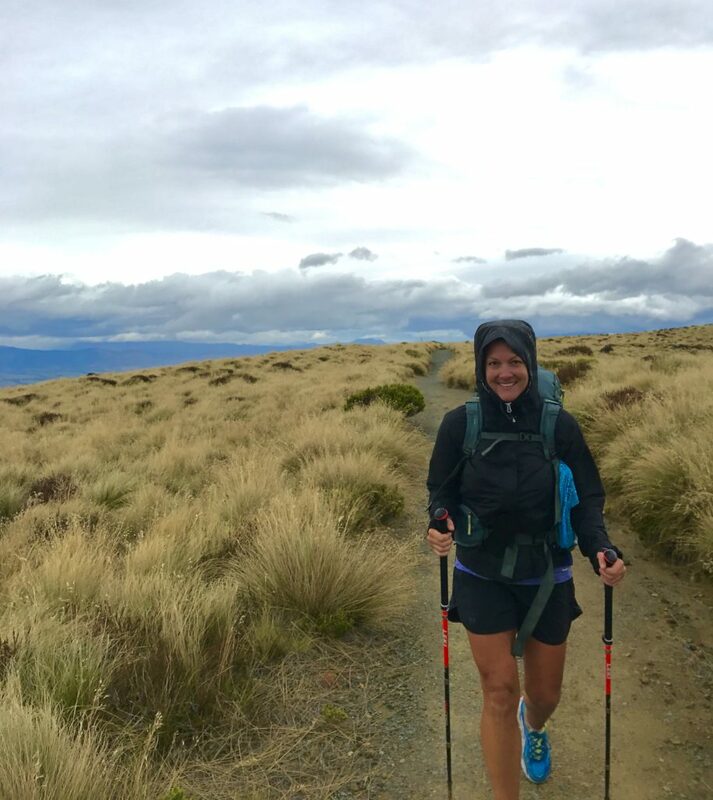 The Kepler Track was my favorite of the two Great Walks we hiked in New Zealand. The other, the very popular Milford Track, had similar scenery, but none of the breathtaking ridgeline views that make the Kepler Track unique. 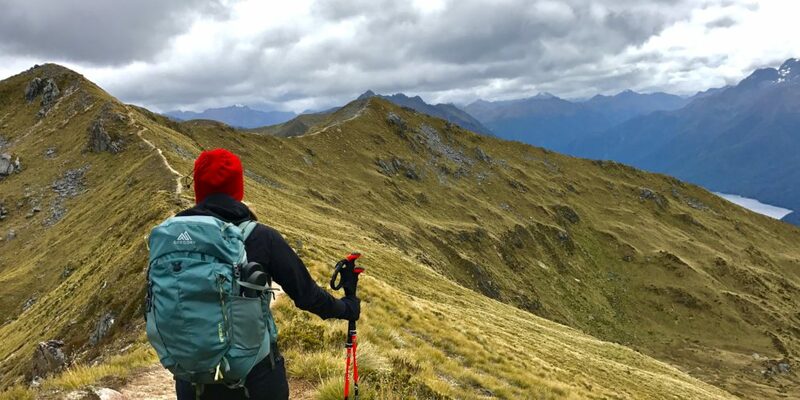 The Kepler Track is one of New Zealand’s nine Great Walks. It is an easy trek to plan because it is a loop. 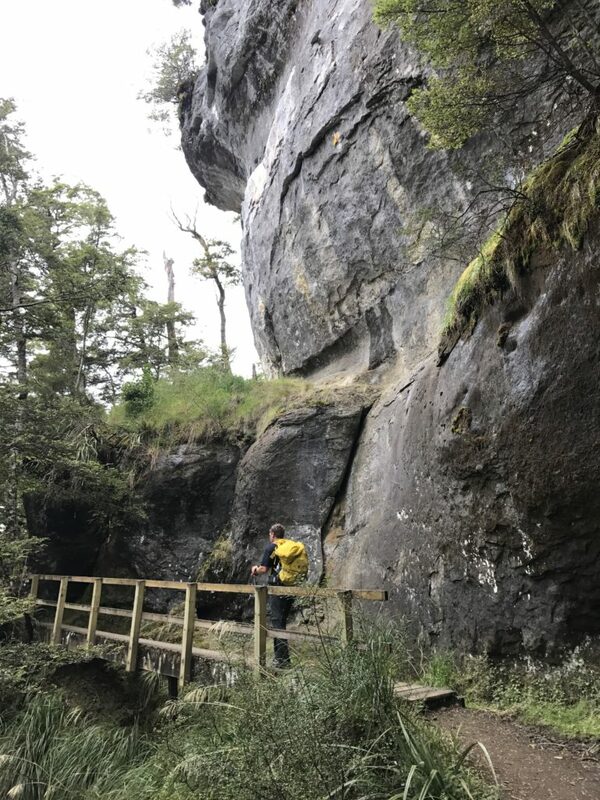 Located on the South Island, in Fiordland National Park, the 37 mile/ 60km loop, with 8,900 ft./2,700 m elevation gains and losses, starts and finishes a few short miles outside the charming lakeside town of Te Anau. The hike is known for endless ridgelines and alpine views. It is traditionally done in 3-4 days, but if you are short on time and in good shape, it can be completed in 2-days. Don’t be surprised if you see a few ultra-runners training during your hike. The Kepler Challenge Mountain Run ultramarathon has been held every December since 1988. Most runners complete the trail in under 11 hours. Elite runners, in under five. The current record holder is Australia’s Martin Dent, a 2012 Olympian, with a time of 4:33. While my partner and I have run a few ultramarathons, we are by no means elite nor wanted to attempt this trail in 1-day. Here is how we did it in 2-days and what you need to know. 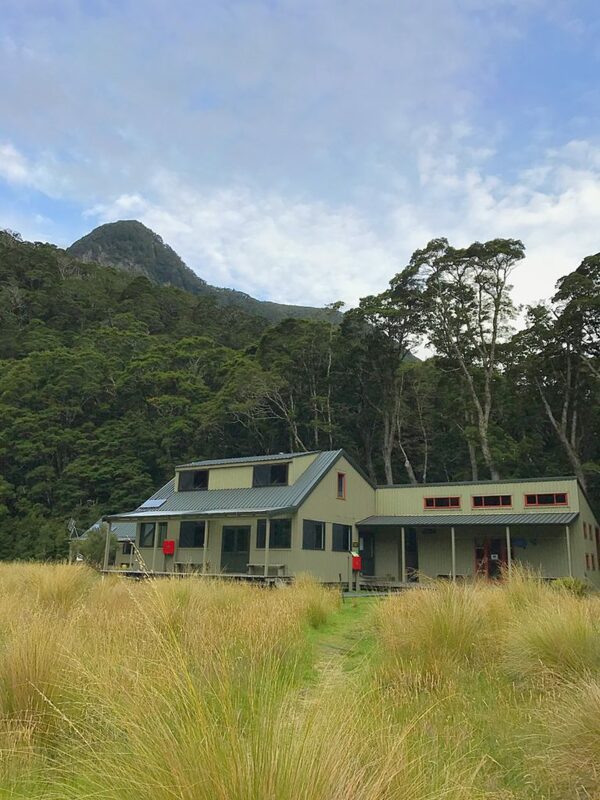 New Zealand’s Department of Conservation maintains 3 huts and 2 campsites on the Kepler Track. Each hut has a kitchen/dining area with sinks, gas burners (cooking pots and food are not provided), a wood stove and bathrooms, no showers. 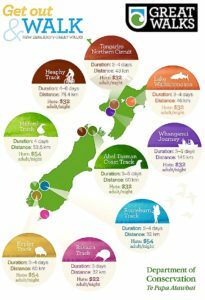 It was NZ $54 per adult to stay in a hut and NZ $18 per adult for a campsite. Reservations must be booked ahead of time and can be done online or at a DOC visitor center. Once confirmed, pick up tickets at a DOC visitors center and take them on the hike. The Hut master’s will ask for them. I booked reservations online for the Iris Burn Hut at the beginning of January, a month before we left for New Zealand. We picked up our tickets, the day before our trek, at the visitor’s center in Te Anau. If going in high-season, I recommend booking as early as possible. Don’t wait to get to the visitor’s center. Prices increase for the 2017/2018 season: NZ $65 hut stay & NZ$20 campsite. If you have trouble securing a reservation or logistics, reach out to EasyHike. They work with all of the Great Walks and helped us with the Milford Track. They really do make everything easy! We rented a car from Avis at Queenstown airport and drove to Te Anau, NZ. It is a pleasant three-hour drive through rolling hills, farms and fields. We spent the night in a hotel and drove the next morning to the Kepler Track carpark. It is on the southern end of Lake Te Anau and 3-miles/5 km from town. 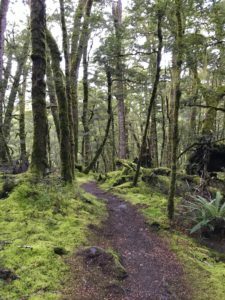 We followed the Kepler Track signs from the carpark, across the water-flow control gate bridge and into a lakeside beech forest, carpeted in moss. The dirt trail is flat the first 7km. After passing Brod Bay campsite area, a 2,500 ft./750m ascent begins with long switchbacks, through trees, limestone bluffs and onto an exposed grassy ridge. Above the tree-line, we were hit with strong winds and cold rain. No problem. We put on rain jackets and enjoyed panoramic views of the lake and mountains. Thirty minutes later, we arrived at Luxmore Hut. 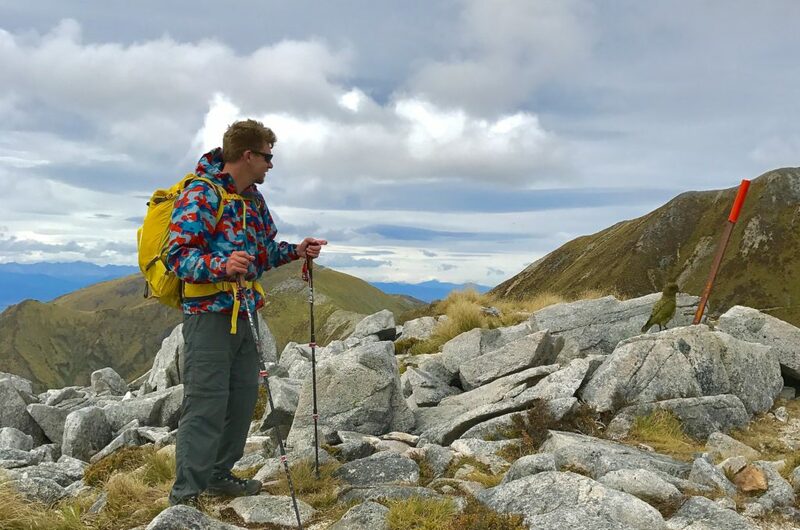 The Kepler Track guide says it should take between 5-6 hours to trek 8.4 miles/ 13.8km, from the parking lot to Luxmore Hut. It took us less than 4-hours. Sweet! Our pace was faster than the brochure’s suggested time. It said the next 9.1 miles/ 14.6 km, to Iris Burn Hut, would also take 5-6 hour. If the guide was off on the first part, surely it wouldn’t take us more than 4-hours to hike to the next hut. After eating lunch at Luxmore Hut, packed peanut butter and jelly sandwiches - yes, we are very American – we continued our hike to Iris Burn. We exited the hut and into 40-60 mph winds and intermittent cold rain. This long ridge section only has an elevation gain of 825 ft/250 m, but it is a rolling up and down trudge that seems to go on forever. Battling weather, our energy-levels took a beating. 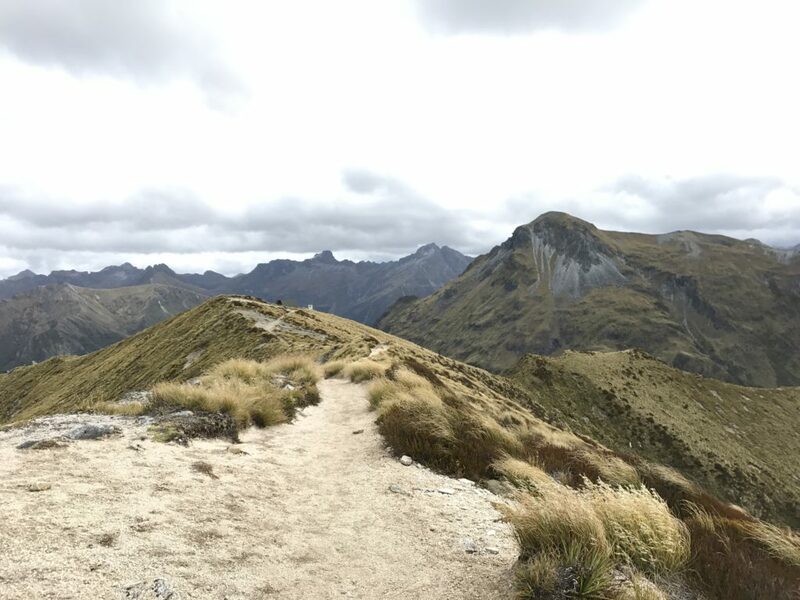 The highest point on the Kepler Track is Luxmore Saddle at 4,600 ft./ 1400 m. There is a turn-off on the left for those interested in summiting the rocky Mt. Luxmore (4,829 ft./1,472m). Most people drop their packs and take the 10-15-minute climb for additional views. Along the way are two, triangle shaped emergency shelters. The first one is Forest Burn, about two-hours from Luxmore hut. The second is Hanging Valley. We took 10-minute breaks in each, just to get a reprieve from the unrelenting high winds. We were glad for bringing Leki trekking poles. They helped with balance and keeping us anchored to the ground. 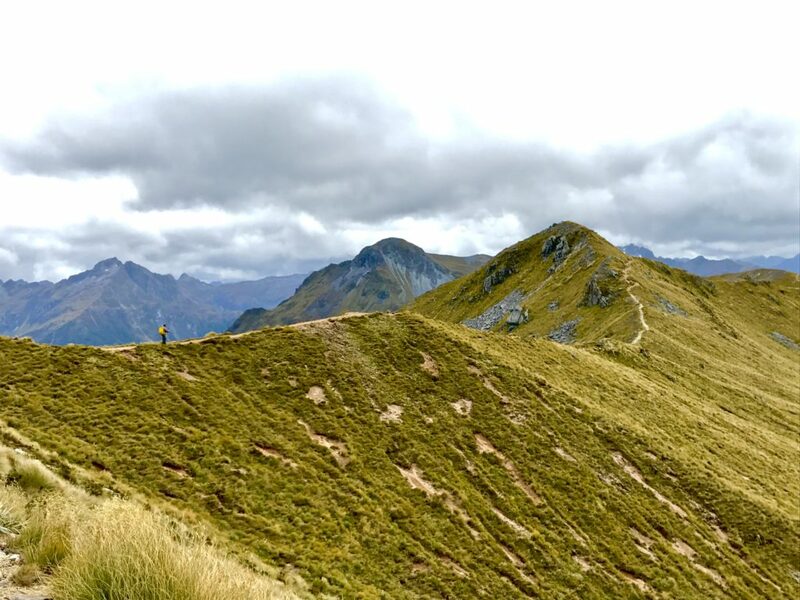 While the wind wasn’t ideal, the Kepler Track’s ridgeline section is breathtaking - more panoramic views and visits from Kea, New Zealand’s green, mountain parrot. After 4.5 hours on the ridge, we began the descent into Iris Burn Valley. Lower and protected by the trees, the wind ceased. It took another knee-jarring hour of endless switchbacks to reach Iris Burn Hut. The hut sits peacefully in a large, open tussock clearing. In the distance, mountains. There are short walks to a river and waterfall. We found bunks for the night. Unpacked and went to the kitchen/dining area to make dinner. We were asleep by 8:30pm. It rained hard during the night and temperatures dropped. It was still raining when we exited Iris Burn Hut at 8am. The mountains in the distance now had a coating of snow. Hikers going in the opposite direction, climbing up and over the ridgeline, would have their work cut out for them. 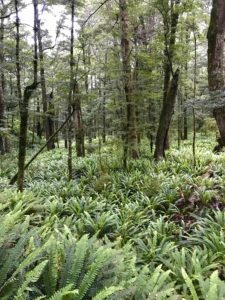 The trail meanders through a rainforest - plush with vegetation, ferns, moss, streams, over a saddle, into a valley that exits along the lakeshore around Shallow Bay to Moturau Hut (16.2km from Iris Burn Hut). It took a little over 4 hours to reach the hut. This shore section is buggy – lots of sandflies - so we ate lunch inside the hut. We continued on through more forest, over streams and a swinging bridge. We passed Rainbow carpark where some choose to start the Kepler Track. There is also a bus service to and from Te Anau. Onward we pushed through more of the same scenery. This forest/valley section is very similar to much of what you see on the popular Milford Track. It is beautiful, but not breathtaking like the Kepler Track ridgeline views. After a total of 7 hours hiking, we reached the carpark. Wet. Cold. Exhausted. Happy. 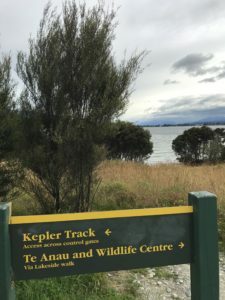 We completed the Kepler Track! 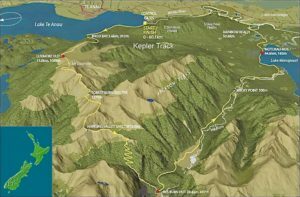 The Kepler Track and the Mueller Hut Route in Mt. Cook National Park were my two favorite adventures.